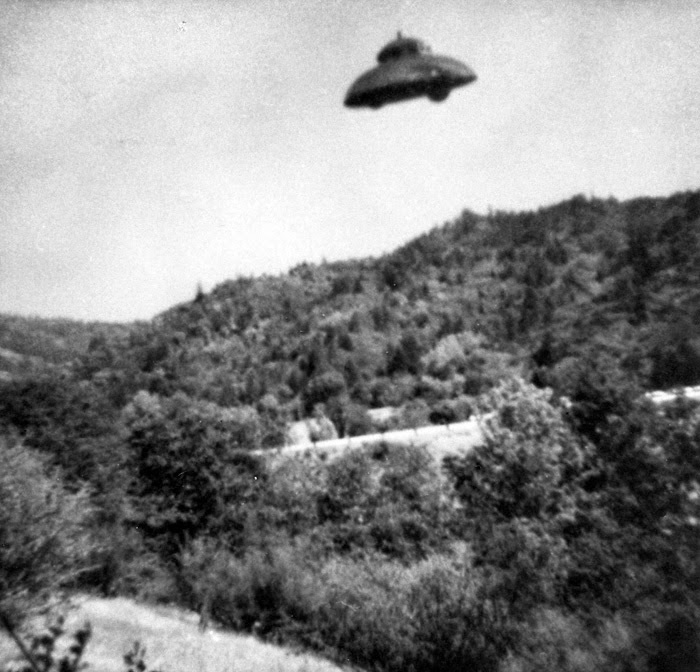 As an investigator of contactee cases for many years I have often lamented the lack of thorough research and documentation of the early classic contactees of the 1950s. 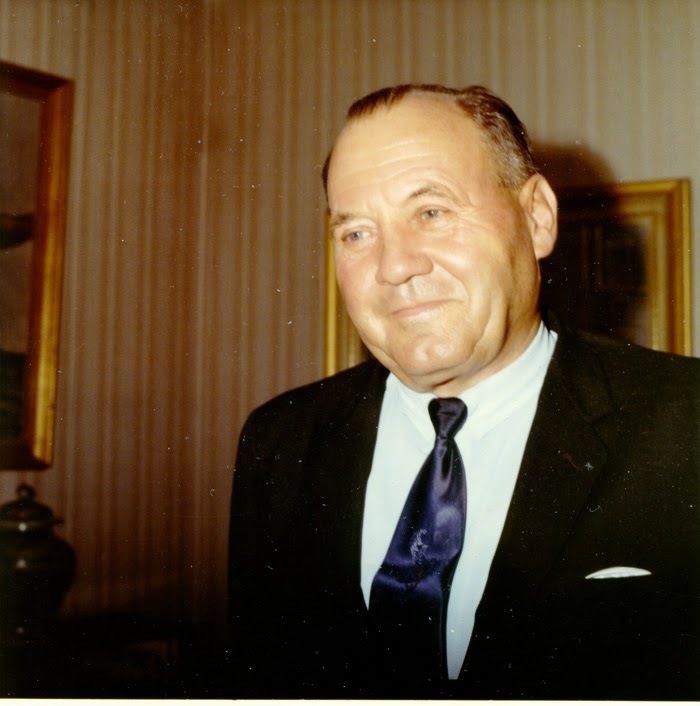 There is still no biography of Orfeo Angelucci, George Van Tassel and Howard Menger. Lou Zinsstag and Timothy Good did a pioneering effort with George Adamski. The Untold Story (1982) but since then very little has been written. It was therefore with great expectation I received Contactee. 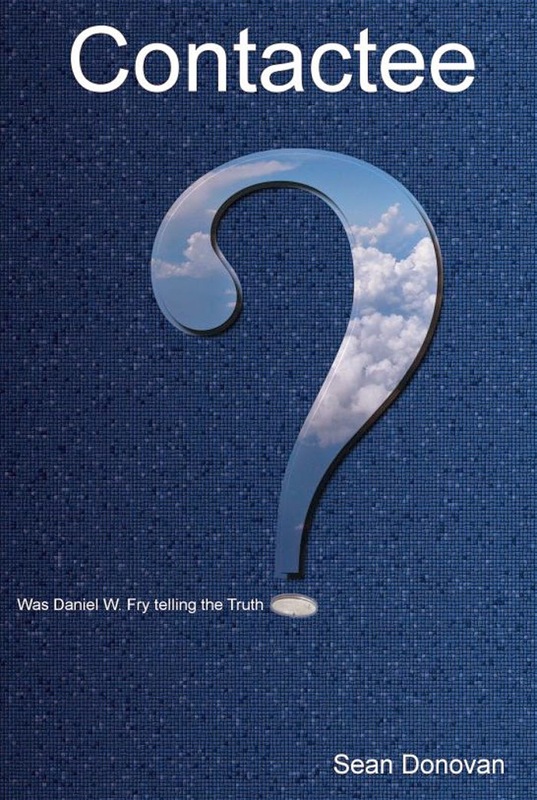 Was Daniel W. Fry Telling the Truth? by the young Canadian author Sean Donovan. Sean is to be commended for a remarkable cultural achievement, having in 2003 rescued what was left of the Daniel Fry and Understanding organizational archive and continually presenting more and more of this data on a website dedicated to Fry and his organization. All copies of Understanding magazine 1956-1979 and Newsletter 1982-1989 can be found on the site and also photos, audios, films, interviews a.o. My hope is that other researchers will copy this excellent effort when it comes to contactees like George Adamski, Orfeo Angelucci, George Van Tassel and Howard Menger. Sean Donovan is not a ufologist in the usual sense of the word. Resident of Edmonton, Alberta, Canada he has a Batchelor of Applied Science in Computer Engineering from Simon Fraser University in Burnaby, British Columbia. He runs a web consulting business and does research into gravity control, the subject that eventually got him interested in the theories of Daniel Fry. During his years at the university in the 1990s he, more or less as a diversion from the monotony of study, started looking into the problem of gravity control and studied many books on the subject: "My first encounter with Daniel´s story happened when I was 28 years old in the year 2001 during a cold, snow filled night on a farm in Saskatchewan, Canada, where I read "The Rode in Space Ships"... Upon first reading Daniel´s story in November of 2001, I was skeptical, but excited. It was clear that if the physics from Fry´s books worked, I could follow my original goal of gravity control instead of "inertial propulsion" which was proving fruitless." 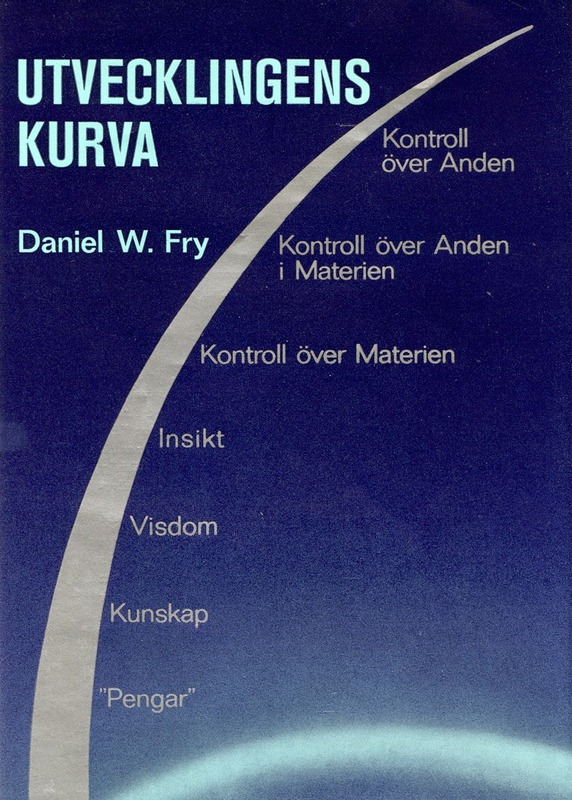 Sean became intensely fascinated by Daniel Fry, contacted and interview his children and relatives and ended up preserving the Understanding organizational archive, including a real treasure, a month by month journal of Daniel Fry´s doings from 1966-1977. All this material became the basis for his biography Contactee. Was Daniel Fry Telling the Truth? The first part of the book, some 35 pages, is a very detailed family history, a part of the text that could have been somewhat reduced as not very relevant to the rest of the story. 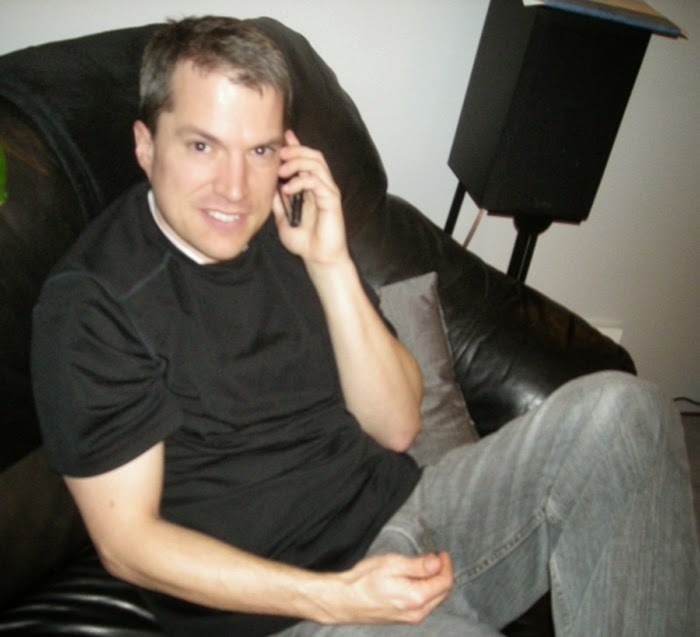 The author then presents the contact experiences of Daniel Fry in his own words. Sean has combined the information from four different books to get a version as complete as possible. 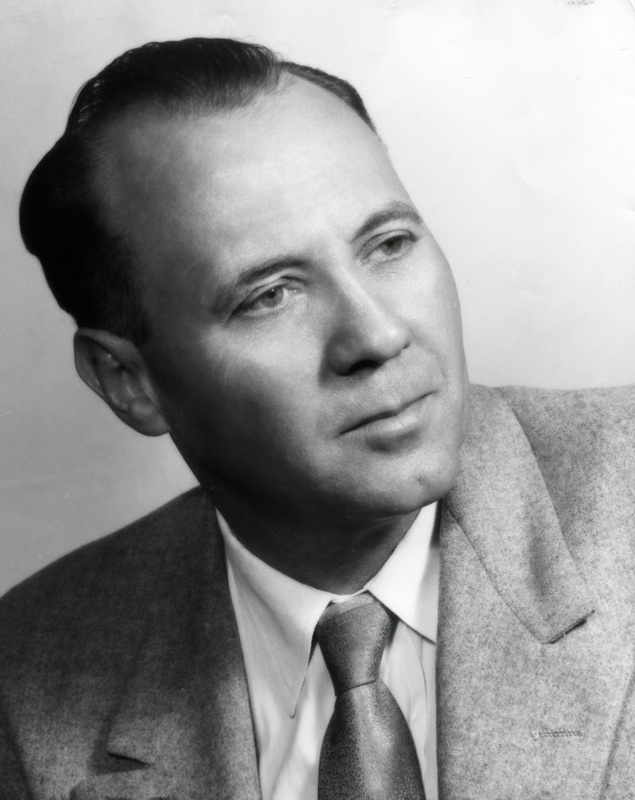 White Sands Incident, Steps to the Stars (1965), Atoms, Galaxies and Understanding (1960) and he also quotes from They Rode in Space Ships, written by Gavin Gibbons (1957). A large part of the book covers the history of the Understanding Organization and the personal life of Daniel Fry. Here, for the first time, is a detailed and very fascinating story of the activites, ups and downs, the economic problems and controveries of the organization. Still a few questions remain after reading this history: What happened to all the local units all over the country? With some 70 local units and 10 000 members how come such a large organization just collapsed? And what became of the arsonist who burned down the library and kitchen in the Understanding headquarters in 1978, then at Tonopah, Arizona? Who was this man and was he ever convicted? As Sean Donovan is an engineer and technician several chapters are devoted to the physics and technical aspects of the Daniel Fry claims. Sean also presents his experimental evidence for and against Fry. Experiments that he consider promising and hope for an investor like Robert Bigelow to be able to continue. He has also started a website studying the physics of Curvity, a name used to describe the physics of Daniel Fry. Not being technically minded nor interested I can give no informed opinion on these discussions but simply recommend them if your interests are on the technical side. So, was Daniel Fry telling the truth? Like other UFO researchers Sean Donovan concludes that Daniel Fry´s film is a fake: "The spinning model like motion, the attempt at a second filming and the blatant visible supports are all evidence the films are false." 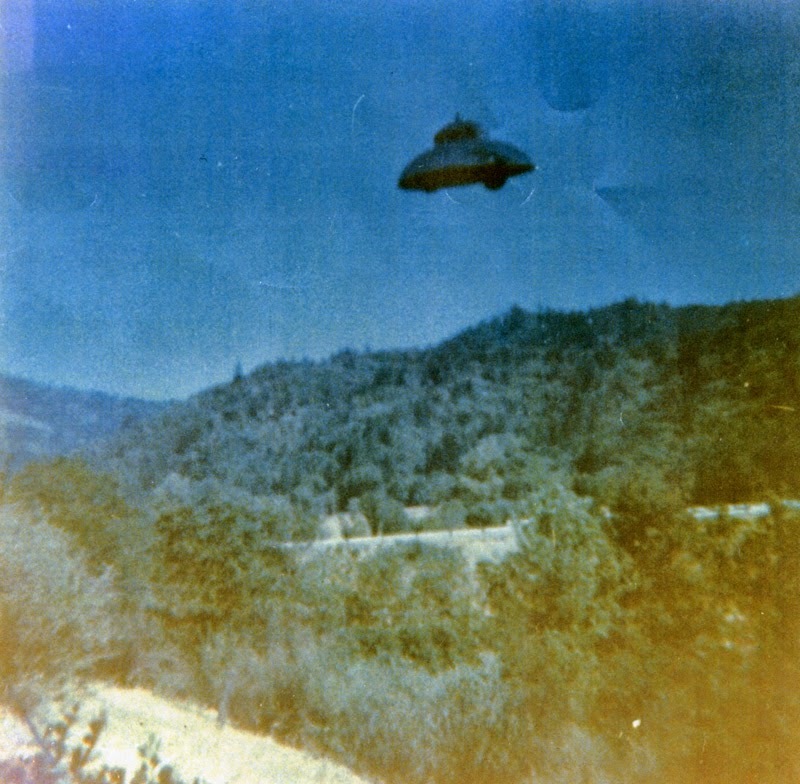 What is missing in the book is an investigation and analysis of the Tahalita Fry UFO photographs taken in November 1968. There is also a reproduction of the bogus Ph.D. degree that Fry recieved from Saint Andrews Ecumenical Collegiate, a title that made him call himself Dr. Daniel Fry for the rest of his life. After considering the evidence for and against Daniel Fry the author presents no definite conclusion but keeps an open mind. In the beginning of the book he has a quote from astronaut Gordon Cooper: "I have seen my share of wide-eyed UFO fanatics and lunatics. Dr. Dan Fry was not in that category. I found him totally credible." The weak part of the book is the author´s lack of knowledge of the complexity of the contactee enigma. A complexity that takes a lot of study and field investigation of physical contact claims to comprehend. 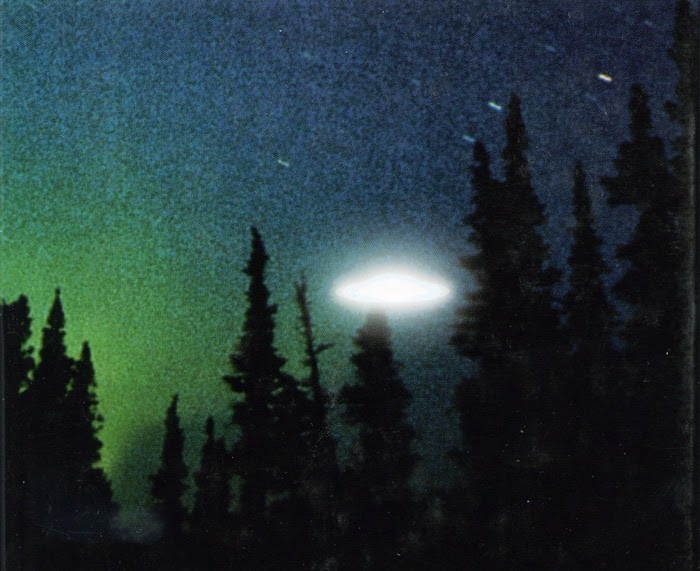 Contactee experiences are seldom a question of black and white which was also the conclusion reached by psychiatrist Dr. Berthold Schwartz, who investigated the contact claims of Howard Menger. On his Curvity website Sean Donovan makes a "Comparison to Other Contactees" and concludes that "other similar contactee stories are fabrications" and in his book he claims: "Amongst Fry´s contactee peers, there is nothing bu bunk". Admittedly many contactee claims of the 1950s were pure fabrications or misidentifications of mystical experiences. But not all of them. There is substantial evidence indicating that some of the 1950s contactees were involved in a cultural influence experiment implemented by a group of benevolent aliens from somewhere, with access to advanced "Vimana" technology. The contactees involved did not always understand what was happening to them and sometimes made a mess of the information delivered. 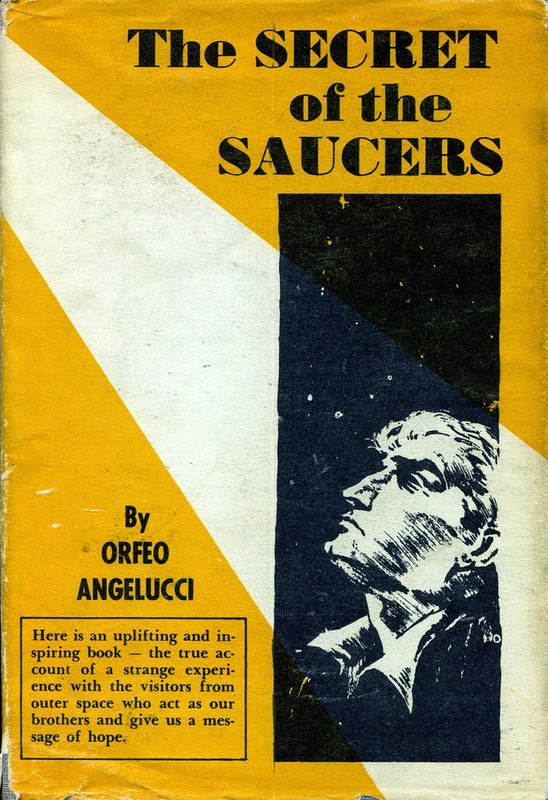 That this was a psychological experiment to test the reaction of human society to alien contact is told by journalist Paul M.Vest who was asked by a "Venusian" to help spread the message and experiences of Orfeo Angelucci. The real contactees involved in the experiment were also told to use various methods to keep certain information secret, using blinds and code words in communication. 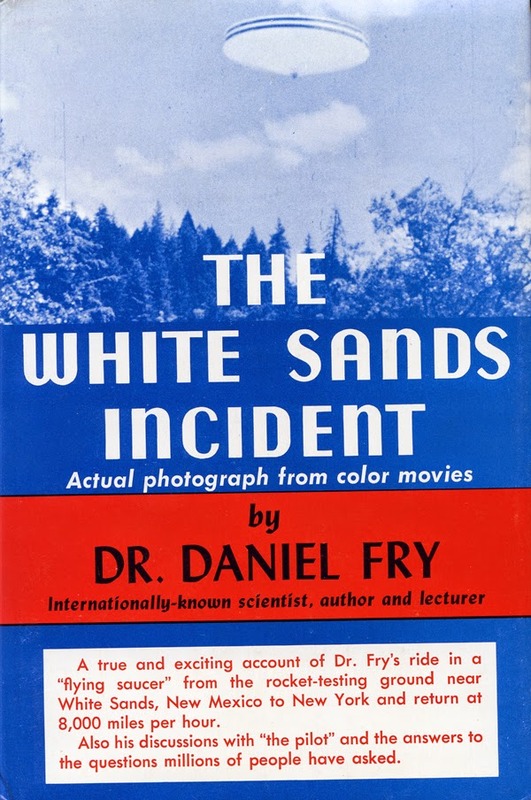 Sean Donovan noted some of these diversions when he quoted Fry: "In composing my report of the incident at White Sands, I took great care to present it in such a manner that it would immediately be dismissed as nonsense by the "military" type of mind, and yet would present all the vital information in such a manner that its value could readily be understood by the type of mind capable of making use of it." By presenting this "benevolent conspiracy theory", which is a variant of the Esoteric Intervention Theory of Jacques Vallee, I admittedly become a heretic among "scientific ufologists". But as Vallee has also stated, in Forbidden Science II, "...the history of ufology should be placed within an esoteric context." If Sean Donovan had been a student of the more academic presentations of the Esoteric Tradition or science of the multiverse (Helena Blavatsky, Alice Bailey, Henry T. Laurency) he would have noticed that the message given to Fry was a sort of simplified version of the Ancient Wisdom. This is especially evident in Daniel Fry´s The Curve of Development. It is also evident in the messages given by Adamski, Angelucci, Van Tassel and Howard Menger. These few critical comments should not hesitate readers to acquire the book which is an important contribution to the study of the classical contactees. And once again I would like to salute Sean Donovan for the excellent work with the Daniel Fry archive and websites. When Ardy Sixkiller Clarke was a young girl in high school she was deeply fascinated by the two 19th century explorers John Lloyd Stephens and Frederick Catherwood. She read their classic Incidents of Travel in Central America, Chiapas, and Yucatan, published in 1841. Together they were pivotal in the rediscovery of the mysterious cities of the Maya. Ardy Sixkiller Clarke fell in love with this adventurous duo and promised she would one day follow in their footsteps. She realized her dream between 2003 and 2010 with fourteen journeys, travelling through Belize, Honduras, Guatemala and Mexico. Not basically to study Mayan ruins and culture but collecting stories of encounters with sky gods, giants, little people and aliens among the indigenous people. The results of her endeavors are documented in her latest book Sky People. 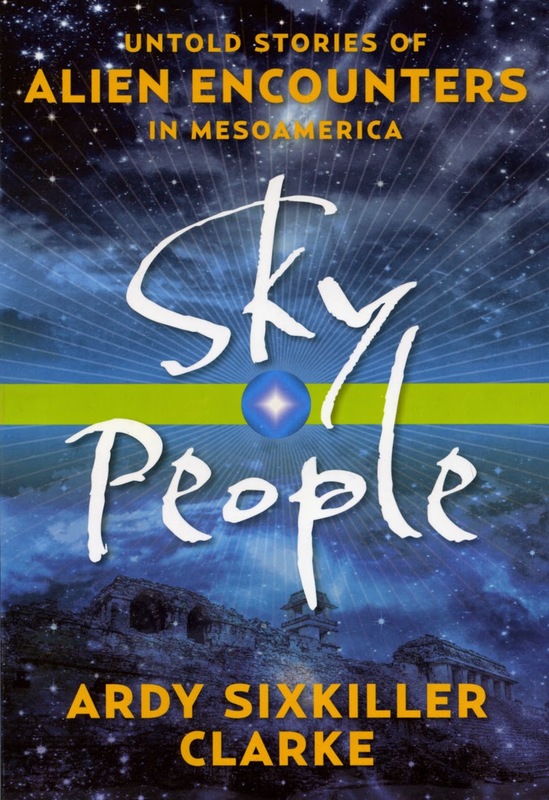 Untold Stories of Alien Encounters In Mesoamerica, published by New Page Books, 2015. 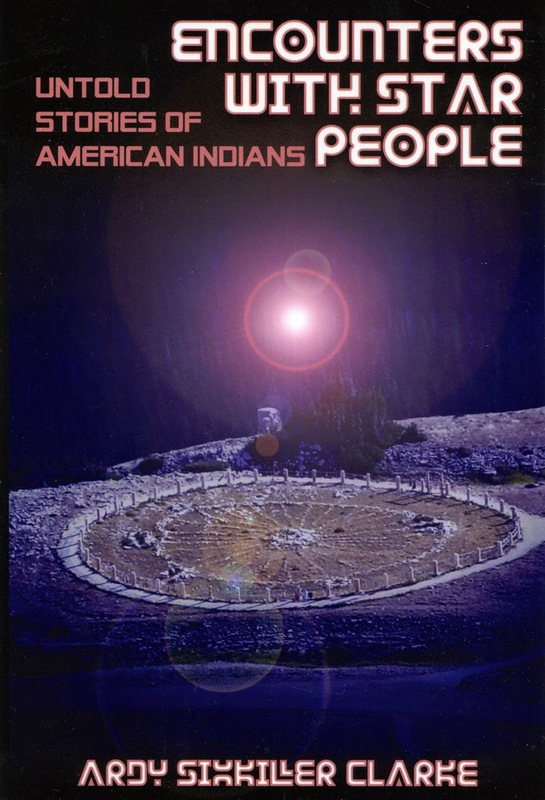 Sky People is actually the sequel to the author´s former Encounters With Star People (2012), a documentation of alien encounters among the North American indians. This is one of the most fascinating books I have read in years with many intriguing physical contact stories and close encounters. I have eagerly awaited the sequel and was not disappointed. Sky People is a very personal and exciting travelogue giving an inside view of alien experiences among the indigenous people. As a woman with American Indian ancestry and a professor emeritus of Montana State University Ardy Sixkiller Clarke was highly respected by the men and women she met who shared their personal stories and experiences. One of the witnesses gives her this special credit: "Occasionally I see someone looking for stories about UFOs, but they do not possess the methods needed to get the local people to talk. You, on the other hand, seem to be able to touch people´s hearts and souls." These books by Ardy Sixkiller Clarke should not be regarded as ufological studies in the ordinary sense. She is not the critical investigator trying to determine the ontological status of the experiences. Instead her approach is what in Anthropology is named the emic or insider perspective simply recording the narratives avoiding judgements about the observations: "In doing so, I never questioned the existence of the Sky People, Sky Gods, or the traditional myths and legends of the indigenous people, nor was I skeptical of their reported encounters." For more information on this aspect read Brent Raynes´interview with the author in Alternate Perceptions Magazine. The 46 chapters are a fascinating mix of legends and very interesting close encounters and contact experiences with a wide variety of entities, most of them similar in type described in the international UFO literature. Chapter ten, An Encounters With the Old Ones, is of special interest as Ardy Sixkiller Clarke herself becomes the percipient of a UFO. The incident happened in Copan, Honduras, The village holy man presents Ardy with a prophecy: "... if you are the woman sent by the gods, you will se the ancients." In the middle of the night Ardy is escorted to the ancient ruins by a local man, Teodoro. They enter the steps of a temple. At the top they lean back and wait in the darkness. After some time small balls of light flicker around them in formation. But that was only the beginning: "While I was lost in thought dawn came and sunlight flooded the plaza. Suddenly a large, circular, rotating wheel-like craft appeared overhead. I watched speechless as the revolving wheel disappeared toward the east, and the sun appeared in its saffron glory. I squinted my eyes and looked in the direction of the sun but the craft was gone." The next morning Ardy learns that there were reports on TV of a UFO observed and disappearing in the direction of Copan. The author makes no more comments regarding this spectacular observation but in another chaper she concludes: "What began as a teenager´s dream became a passion. It was there, among the ancient ruins of the Maya, that my life changed significantly." In several of the humanoid cases mentioned the entities are first seen as balls of light that transform into human-looking aliens. What can be interpreted as classic materialization phenomena. One witness reports: "Sometimes they come as balls of light and turn into men that look just like them. Other times they look like people but are not people." Sky People also contain some very intriguing physical abduction stories, where several witnesses in secret hiding places have observed how aliens led, obviously paralysed, local people into their craft and watching them come out again. In an epilogue Ardy Sixkiller Clarke concludes "I believe there is a literal truth to the accounts... It confirmed in my mind that something is definitely happening to the people of Earth, and the problem is not isolated, nor is it confined to one region of the planet." 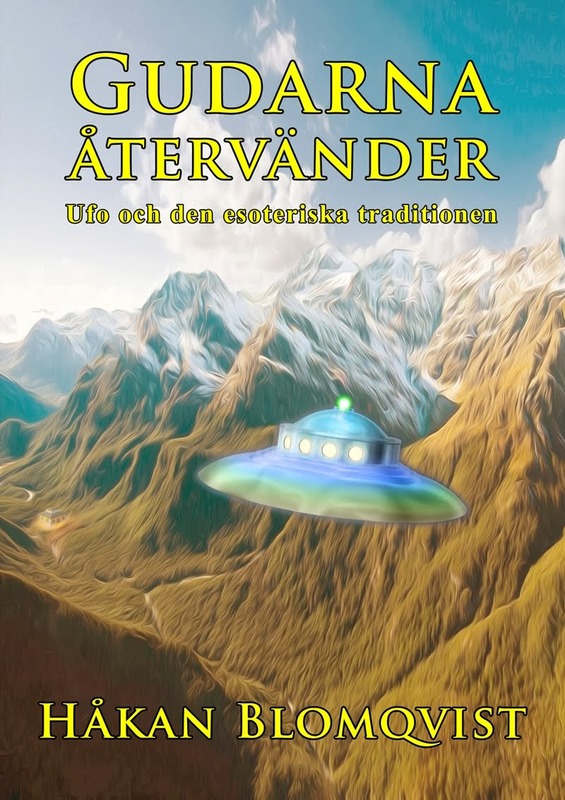 In a very special way the author rejects the ancient astronaut theory: "From my research, I believe the Maya of today are the descendants of those who came to Planet Earth from another world. The were not "assisted" by alien astronauts; they were the ancient astronauts."